I apologize for not keeping you all up-to-date with the most recent celebrity gossip, but my PR program took over my life this week. Tomorrow, I am on my way to LAS VEGAS for a trip I will never forget with 8 of my girls. We are staying at the luxurious Mirage Resort and Casino and I hope my blackjack lessons paid off. 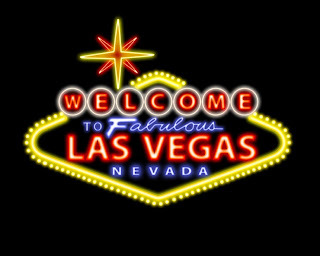 I cannot wait for four days of gambling, partying and eating my way through Sin City. Don't worry A-Listers, I will have a full report ready and waiting for you gossip hounds upon my arrival on Canadian soil.